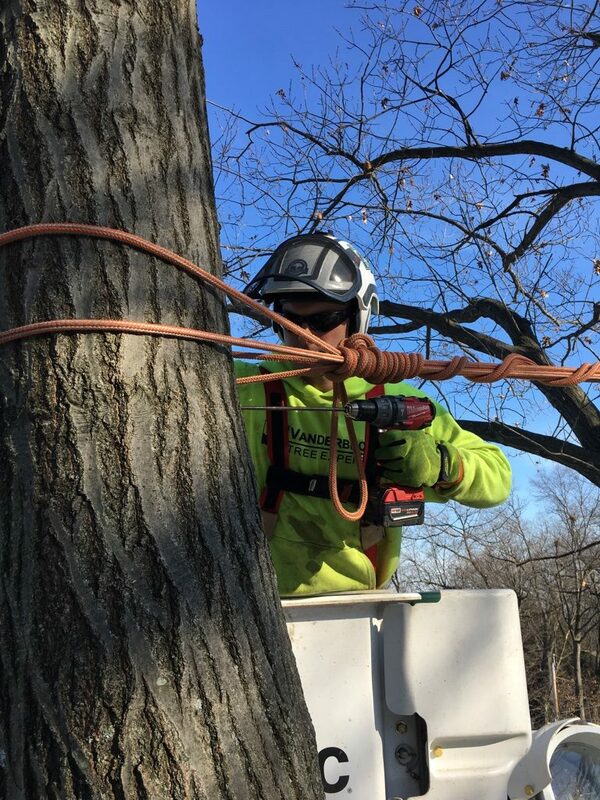 Cables are installed to limit the limb movement at weak points in the tree to prevent it from cracking due to wind or accumulated snow. Braces are steel rods installed to form a firm support in limbs and other parts of the tree. They are used to repair and reinforce split, weak or decaying areas of the tree.